A few weeks ago you may have heard a very loud scream emanating from the general vicinity of Mesa, AZ. That would have been me, totally freaking out. But in a good way. 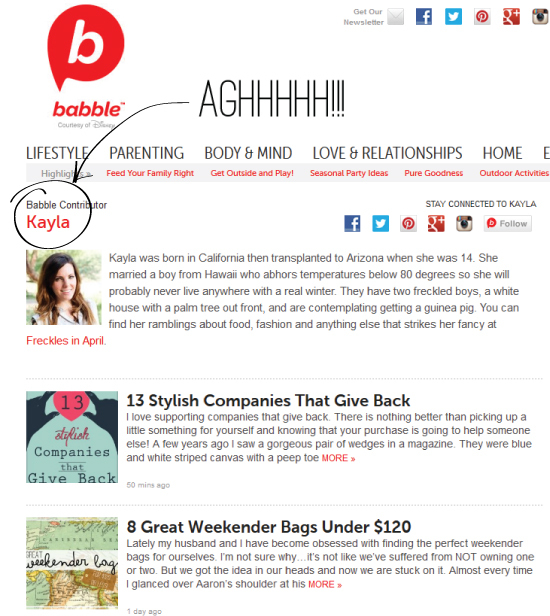 I'm one of the new style bloggers for Babble!! This is big for me. BIG. I've wanted to do something like this for a very long time but I didn't start actively pursuing it until a couple months ago. And a style position? With Babble? Pretty much all my wildest dreams are coming true. I'll be writing over there 3 times a week. If you're interested in reading, I will include links to my latest posts in my post footer. I'd love your support over at Babble! Being part of a blog like that is super intimidating (a lot of their current bloggers are total big time) so it would be awfully nice to have my friends reading and sharing my posts! 11 Swimsuits for Mom Bods | My very first post for Babble and it got some backlash in the comments! Feeling very legit over that. Take Another Look | 12 Things to Pick Up from dELiA's | For those who loved the catalog in the 90s. 6 Quick 4th of July Outfits | Featuring inspiration from real women! Sydney, Janssen, Kate, Kimmie, and Ashley all make an appearance! 13 Stylish Companies that Give Back | I'll be honest, I'm really proud of this one. 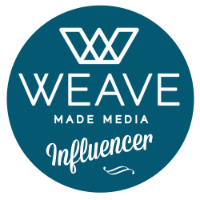 I spotlighted some amazing companies! Do you have any topics you'd like to see me tackle over at Babble? Let me know!! I would love to see another companies that give back article, and/or companies with (stylish) ethically produced clothes. I also love your save/splurge posts on here! Great job, Kayla! I'll definitely be reading :) Congratulations!!! I was wondering when you started doing this but didn't want to ask because maybe I'd been out of the loop for like a year? But no! It's new! And super exciting. Congrats! Woo hoo! That's exciting. Congratulations! I checked out the comments on your mom bod post and laughed. People on the internet can be ridiculous. I would totally wear some of those, I thought it was a great post. You should feel legit! Thanks for featuring our bags Kayla!! i've read em and enjoyed em. they remind me of your posts with janssen when you guys tackle gifts and clothes and such! OK I've been soooo off the map lately with moving and then not having Internet and then needing to job hunt all the freak time, BUT....I am now officially catching up on blogs and excited to follow you avidly on Babble. Woot!